The other day, a wonderful thing happened to me in the blogosphere. After having a long and somewhat tiring day, I get home and log into my WordPress account to discover the most welcome message from Dana of “A Serene Scribe.” I was given The Versatile Blogger Award. Yay! This made my day and put a much needed smile on my face. Thank you. 🙂 I’m thrilled, tickled pink and ever so appreciative. 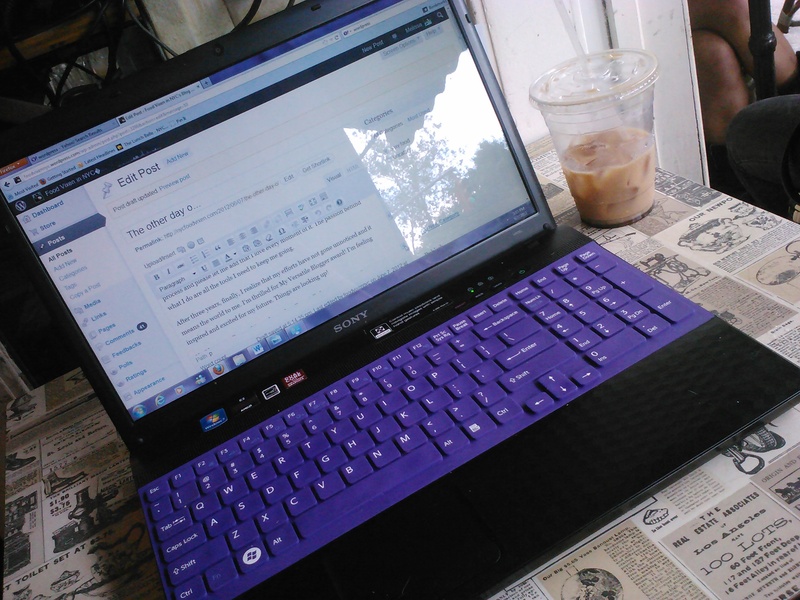 Blogging, though may appear simple, is not. It takes a lot of time and dedication. It takes lots of research, editing and revisions. One blog post can take hours to write and that depends if you have everything, the photos, notes and material in order. It’s a constant process, and I’m always with a camera and miniature notebook on hand. Yeah, blog writing definitely requires passion, and please let me add that I enjoy every moment of it. The passion behind what I do are all that’s necessary to keep me going. I realize that my efforts haven’t gone unnoticed and it means the world to me. 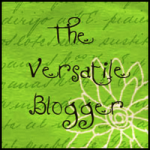 I’m thrilled to have The Versatile Blogger award! Feelings of inspiration are at an all time high. Thank you again for your support! Xoxoxo. Writing, food and people are my greatest passions. It’s what makes me happiest and no, this isn’t only a hobby, it’s my life. I love to make people happy. Plus, writing is the best form of therapy for me, so it’s a win/win! In my mind, cooking makes me feel as though I’m slowly improving the world with each delicious bite. To have people around me with whom I can share this joy is what makes life worth living. 7 things you don’t know about me…. I like to take refreshing walks in the summer rain without an umbrella. I make the sign of the cross before meals (my form of grace). These are just a few of my fellow blogger folk whom never fail to inspire, keep up the great work! I met Julie Deily at the Techmunch food bloggers conference in Boston last summer, and I’ve been an avid reader of her blog ever since. Her site is chocked full of tasty recipes and lots of information about the wonderful world of food. I want to present Julie with The Versatile Blogger award. Thank you for your inspiration. Keep up the great work! Emily Cavalier, a lovely lady I came to know some years ago, has been an inspiration to me since day one. I’ve been reading her blog for over three years and I enjoy her musings on exotic cocktails and tasty recipes. She is also the master mind behind the concept of Midnight Brunch which I plan to attend really soon. I want to present her with The Versatile Blogger award. Emily, thank you for inspiring me and keep up the great work!